Hey, y’all! Getting back from good ol’ Houston, TX and it was such a magical trip. Staying healthy is usually one of the last things people think about when it comes to travel. It’s just not something top of mind because of the geographical location and you’re in a new element. I’m always seeking the best a city has to offer in terms of health and want to show y’all how Houston does things. What does a “healthy travel trip” even mean? Rather than sticking to an exact routine or limiting myself from truly enjoying the experience, I always pick a few key elements that are a sure-fire way to make me feel my best while still enjoying what the new city as to offer. Sounds a lot like an 80/20 balanced life, right? 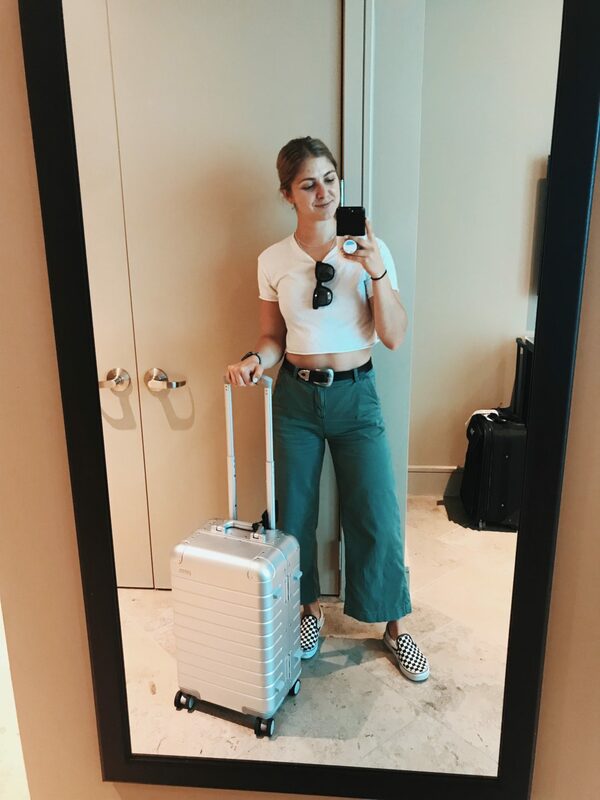 I’m a huge fan of taking travel trips like this because I’ve found that personally even though I LOVE routine and thrive as a type A with them… it’s just not always accessible and that’s O.K. Now, switching gears on how to be somewhat healthy in Houston, TX! Note I said “somewhat”. It’s been a while since visiting the city and going into it, knew 100% that HTX was known for their indulgent food scene. Well… if you know me at all, you know it’s a personal goal of mine to find the best healthy restaurants and workouts spots in a city. First up, what makes a healthy trip is where you stay. Whenever I travel, top of mind is The Westin Hotel. They’ve always put health and fitness on the forefront. You may not spend a lot of time in the hotel room but even by putting yourself in that environment, you’re creating these healthier habits and have the choice to stick to a routine. The Westin Memorial City in Houston was TOP KNOTCH. I mean, their hotels always are but I loved the proximity to the city. It was located about 20 minutes from downtown which kept us a nice distance to escape the madness and most of the traffic that Houston is known for. If you didn’t know, all Westin hotels are partners with Peloton Bikes, TRX Training, and New Balance. I mean… could it get any better?! Not only that, but select rooms/suites at the hotel actually have a Peloton bike IN THE ROOM. Alright, how could I not bring up food? For starters, food is fuel and ya girl likes being energized. Filling your body with the right things on travel trips is crucial. Exploring the food scene of a city is also a must do for your personal gains and really engulf yourself in a new culture. Going back to putting yourself in the right situations, The Westin also takes healthy dining into account. They have a SuperFoodsRX Room Service menu that includes things like Salmon Avocado Tacos, Roasted Root Vegetables, Egg White omelette, fresh squeezed juices… and that’s only the tip of the ice burg. Hello healthy midnight snacking! Here are a few of the best spots I visited plus were on the list, and I’m hitting up next time! Give yourself some wiggle room: Follow that 80/20 rule. No need to stress over every meal, but making each meal “good enough” instead of “perfect” will help keep the trip fun for everyone! Put yourself in a healthy environment to keep things simple: Staying in the right Hotel/spot of town is crucial. Is there a gym in the building, workout studio near by? Come ready: Bring snacks, workout clothes, or anything else that makes a new place feel like home and so you’re ready for just about anything! Make sure to follow me on Instagram @spinsyddy, where I update daily and give more BTS! Make sure to check out my other blog posts on where to stay, what to eat, and were to workout: Dallas, TX and San Francisco, CA.